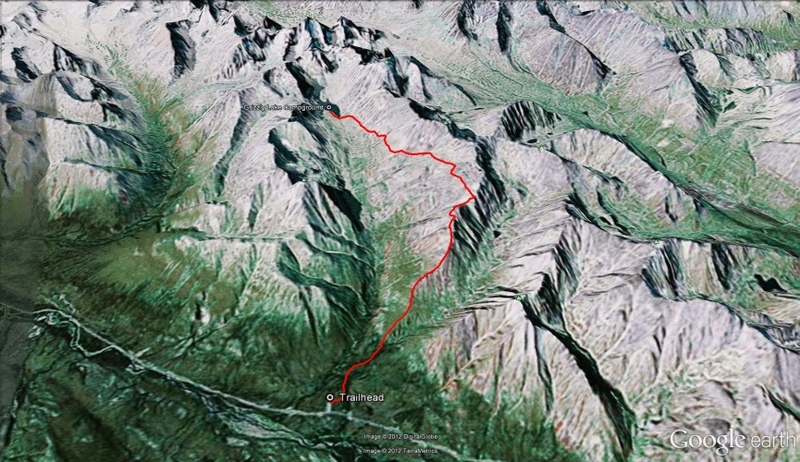 At kilometer 58.5 of the Dempster Highway, there is road that leads to a large parking area on the left (west) side of the highway. The trailhead is signed at the highway, so you can't miss it. The parking area has many parking spots and an outhouse. 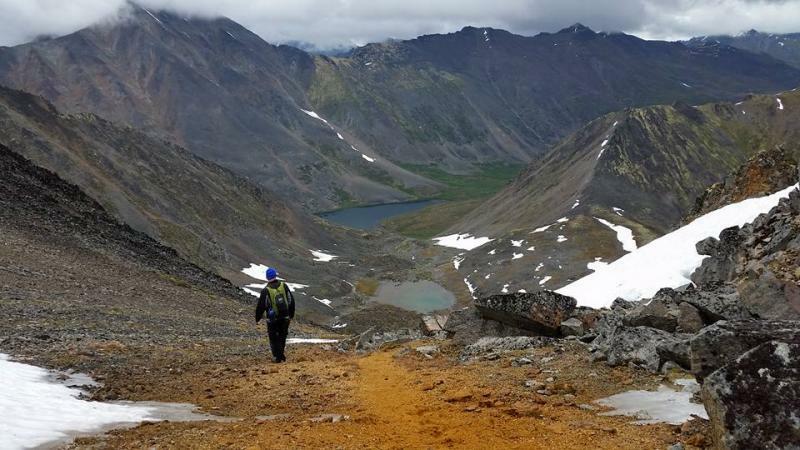 Note: The distances and times noted here are one way, from the trailhead to the campground at the lake, as many people continue to Divide and Talus lakes as part of a multi-day trip. 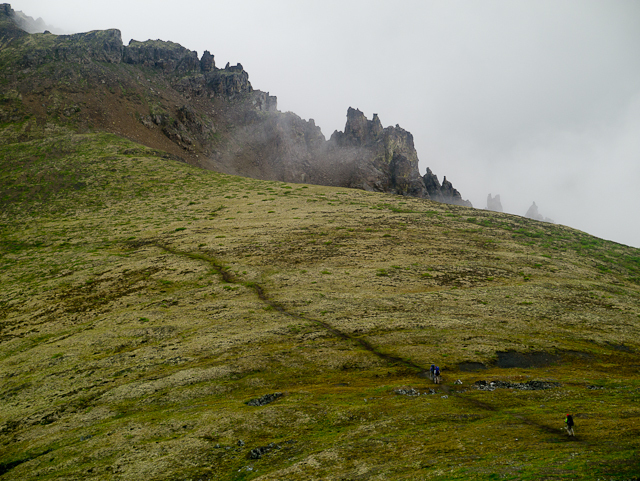 The trail starts out the same as Grizzly Ridge, winding through the forest for the first 15 minutes following along Cairns Creek. 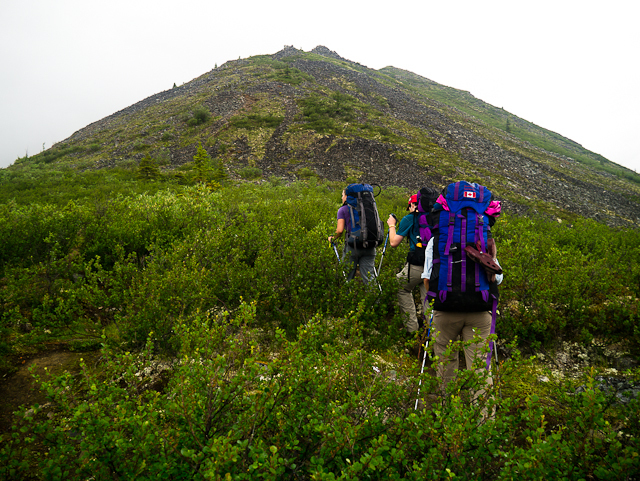 The elevation gain is gradual until the trail switchbacks up the slope, gaining elevation and exchanging the forest for subalpine shrubs. 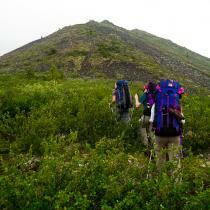 The climb to the ridge is direct, gaining elevation quickly. 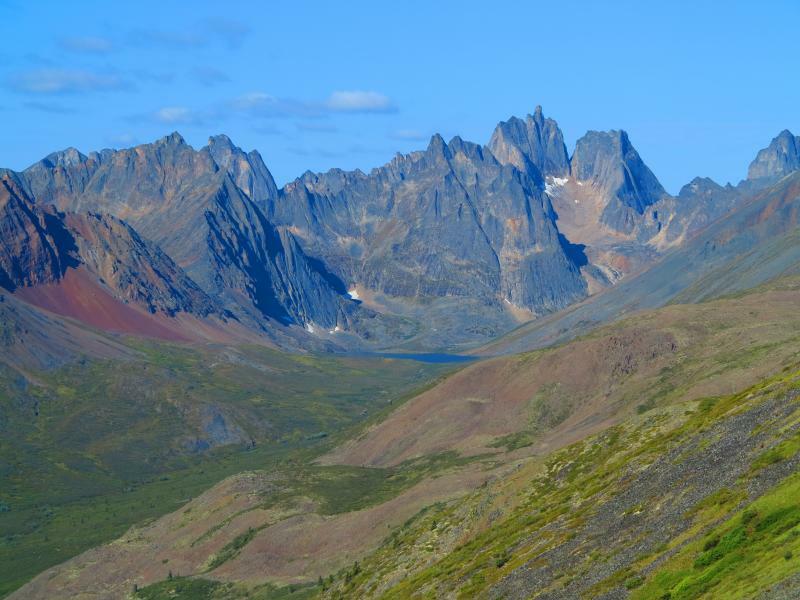 There is a viewpoint partway up with the first glimpse of Mount Monolith at the end of Grizzly Valley. Once on the ridge there are moderate ups and downs and the trail stays mostly on the top or contours along the side of the ridge for most of the hike. 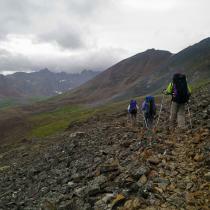 The trail is marked with rock cairns and yellow flagging essentially all the way to the lake. 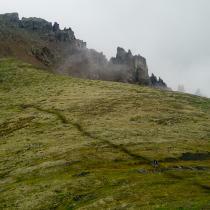 The trail drops down to a large meadow, and then continues along the side of the ridge. 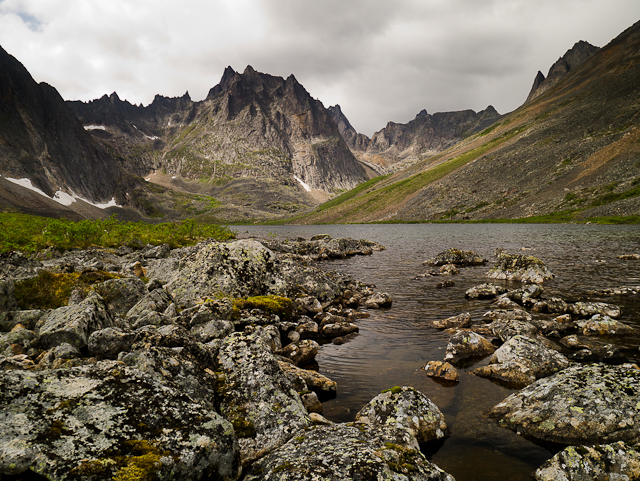 Once you turn the corner, you will start to slowly lose elevation but gain beautiful views of Grizzly Lake and the rocky peaks surrounding it, with Mount Monolith in the background. 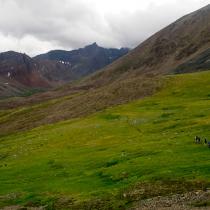 Once down in the valley bottom continue following the trail to the campground, crossing a small stream just before reaching the first few tent sites. 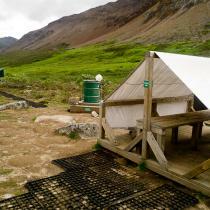 The campground has ten tent pads, a cooking shelter, a grey water barrel, bear proof lockers and an outhouse. 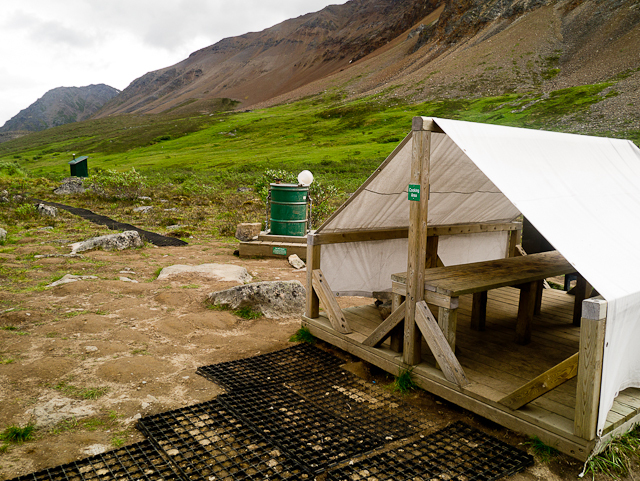 If you are camping at the lake you will need to register and pick up a permit from the Tombstone Park Interpretive Centre. 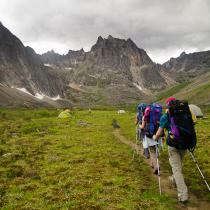 Registration can be done online through the parks website or in person at the centre. The ground squirrels at the campground love to chew on your sweaty gear that is left on the ground. 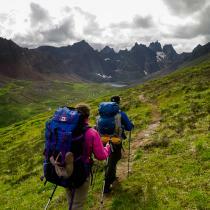 Backpack straps and the tops of hiking poles are their favourite. 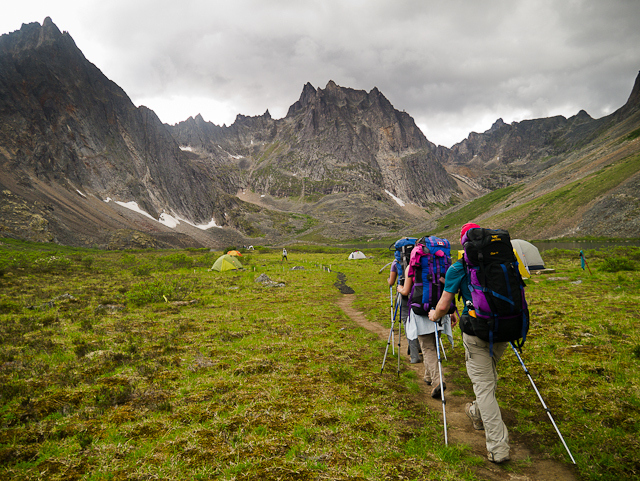 Always keep your belongings in your tent, including your hiking poles, if you want to be able to use them again. 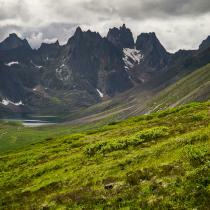 Have you been to Grizzly Lake lately? Hiked in June 29th and out July 1st. Trail was in great shape. We had sun for the hike in but our two nights at the lake were very wet. Sun again on the hike out. Regardless of the rain, we hiked the Twin Lakes trail which was absolutely beautiful. Still a bit of snow up there but nothing major. An excellent afternoon hike - highly recommended. Because of the rain the creek was very high on the way out of Grizzly Lake. It was safer to just take off the boots and wade across. The camp trails were pretty soggy as well. A spectacular way to spend our Canada Day! 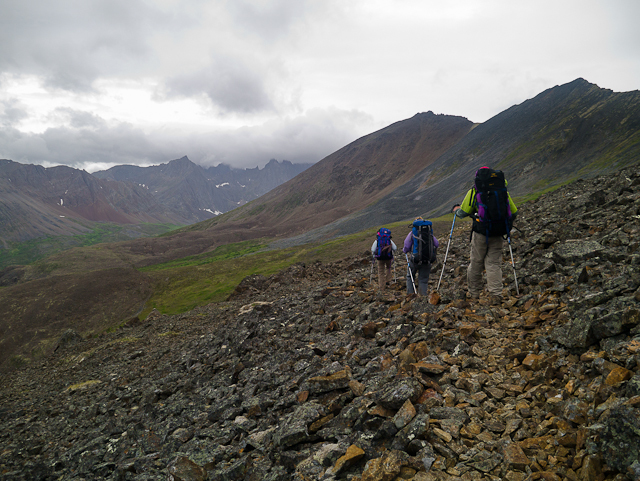 Completed a round-trip hike from Grizzly Lake trailhead on Dempster Highway (km 58.5) to Grizzly Lake via Grizzly Ridge today (June 13, 2016). Some snow but passable, sank knee deep in several locations but trail was easy to locate given the excellent work the trail maintenance crew has done on this trail. Would have been such a pleasure to spend a few days at the lake, perfect location for a base-camp. Superbe randonnée effectuée les18 et 19 août 2015 avec notre fils Arnaud! Le sentier et le site de camping sont tres bien aménagés. 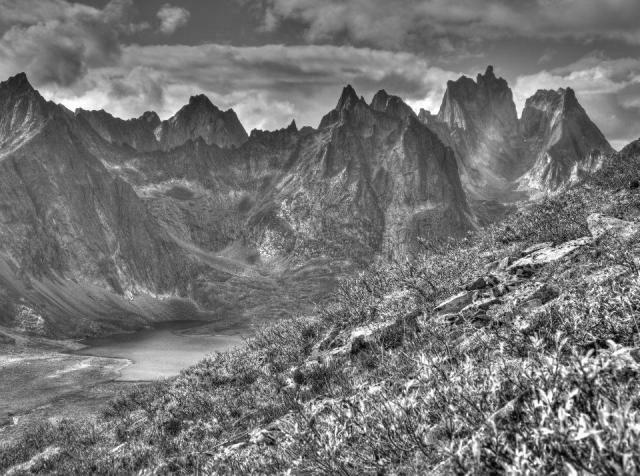 Le décor du lac Grizzli et de Monolith Mountain est impressionnant. Les vues sont spectaculaires. Nous avons pu observer divers animaux et sutrout ..... un boeuf musqué!!!! Votre description du sentier est juste et précise. Il faut être en bonne forme. 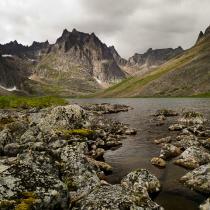 We just did a half-day hike to the view of Grizzly Lake and Mount Monolith. 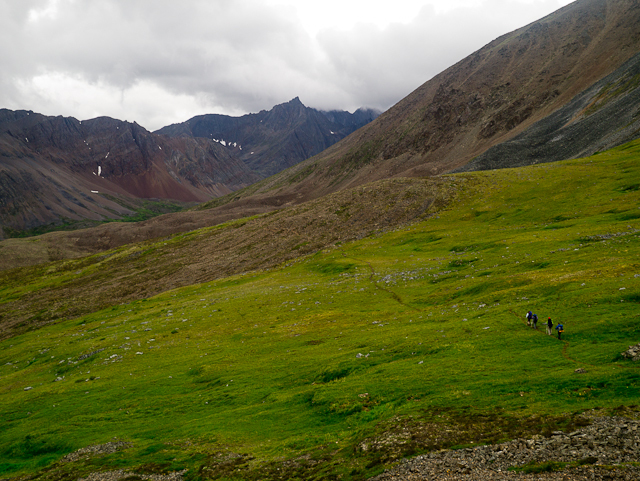 Probably about halfway, just before the highpoint at Marmot Meadows. Absolutely wonderful. 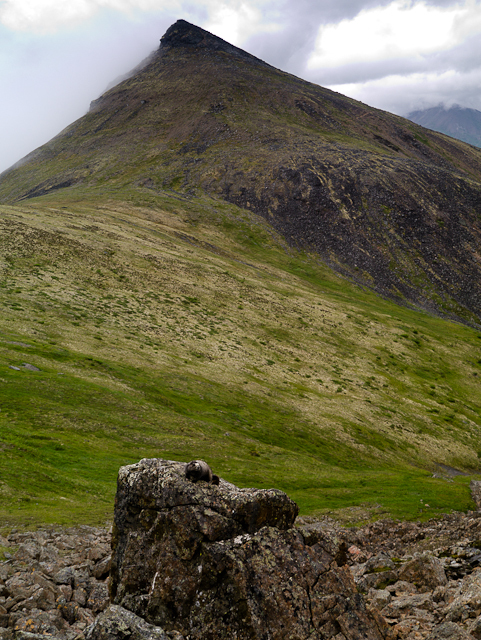 We hiked in with our 3 teenage kids on July 25, 2015 (then out on the 29th after going to Divide/Talus). Trail condition was excellent, although had forest fire smoke affecting visibility on the hike in - not enough to cause breathing issues. 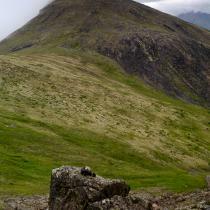 Lots of variable mountain weather, but got some clearer skies too - great views! No big wildlife encounters, but yes had ground squirrels interested in our boots and poles at the tents - had to keep the gear inside. Highly recommend the Twin Lakes sidetrip if you have time. The trail description above is spot on. No grizzly encounters on the trail and Gladys at the Park Information Center/Hiking registration Center mentioned they've been staying away from moderately busy hiking trails as there's lots of access to food this season. 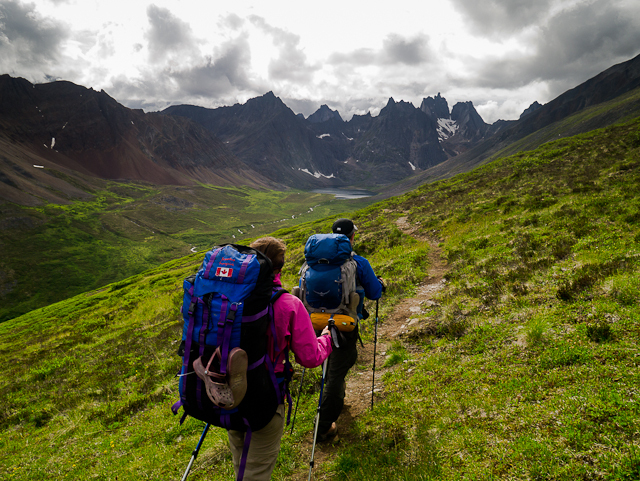 However be aware that you've got to be equipped with bear spray (either your own or theirs) and have a bear proof container (a deposit is required for the bear spray and bear proof container [60$ and up]). Some other notes. Mountain weather moves in fast. 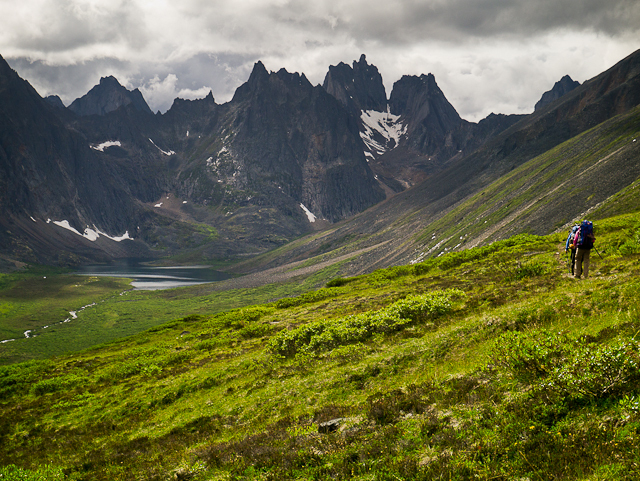 Over the 3 days we (myself and my friend) were in the Grizzly Lake area (Aug 11-13) there wasn't a day we didn't get some sort of precipitation. Often more than once a day. The campsite is pretty wet when it rains continually. The trails are often underwater and even with the geogrid they've laid down you'll want waterproof boots. We had no trouble with ground squirrels chewing on boots and such left in the tent vestibule however one did mark the tent (probably the one living beneath the tent platform). A fact I didn't clue into until once home and setting it up to dry out. So be aware of that odiferous bit of info.